Prohawk Sports - £46.99 with Free Delivery | Lightweight Design and Fantastic Comfort | Perfect for the Indoor and Outdoor Game - Made using Quality Materials! Henselite Blade34 - £66.99 with Free Delivery | Quality Leather and PU Uppers - Air-flow Mechanisms - Duralble Non Slip Sole - Comfortable Memory Foam Insole! Henselite Tiger 42 - £64.99 with Free Delivery | Made with High Quality Materials Making them Very Durable. Lightweight Uppers and a Slip Resistant Sole Unit! Henselite HM70 - £49.99 with Free Delivery | Brand New Style to the Henselite Range - Extremely Lightweight | Made for Comfort | Superb Price! Blade 34 - £66.99 with Free Delivery | New Colours! - Lightweight | Durable | Express Lace-Up System, Leather/PU Upper | Built for Comfort | Top of the Range! Henselite HM72 - £52.99 with Free Delivery | Slip Resistant Sole | Ultra Lightweight!! Suitable for Indoor and Outdoor bowls! Top Breathability and Comfort! Blade34 - £66.99 with Free Delivery | Brand New Colour Scheme | Manufactured Using Quality Materials, Comfortable Memory Foam Insole | Built to Last! Prohawk PM50 - £52.50 with Free Delivery | A Brand New Addition | Unique and Sporty Look | Suitable for Indoor and Outdoor Use - Slip Resistant Sole Unit! Blade34 - £66.99 with Free Delivery | Superior Construction | Great Breathability - Effective Lace Stabiliser - Leather/PU Uppers to Provide All-Day Comfort! AeroBowls Comfit Pro Sprint - £66.95 with Free Delivery | New Addition! Lightweight and Highly Supportive! | Utilised by the Australian Commonwealth Team! AeroBowls Hurricane - £49.00 with Free Delivery | Highly Lightweight and Flexible | Long Lasting | Max Grip Sole | Perfect for the Indoor and Outdoor Game! AeroBowls Flex Red - £47.99 with Free Delivery | New Addition! 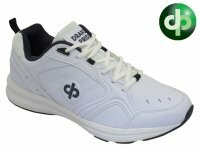 Highly Durable | Lightweight - Easy Flex with Bowler Movement | Fantastic Heel and Arch Support! Aero Comfit Pro Sprint Bowls Shoes - £50.00 with Free Delivery | New Addition! Offers Great Support and Flexibility | Worn by the Australian Commonwealth Team. Henselite HM71 - £59.99 with Free Delivery | Mesh Upper Offers High Comfort and Superb Breathability - Suitable for Indoor and Outdoor Bowls, Fantastic Value! Henselite Pro Sports - £49.99 with Free Delivery | Non Slip Sole Unit - All Day Comfort - Perfect for Indoor and Outdoor Bowls | Quality Leather Uppers! Henselite HM74 - £68.99 with Free Delivery | Ultra Lightweight - Breathable PU Uppers - Flexible Non Slip Sole Unit | High Comfort! Prohawk PM52 - £62.99 with Free Delivery | Quality Leather and PU Uppers - Perfect for Indoor and Outdoor Bowls | Durable Non Slip Sole! 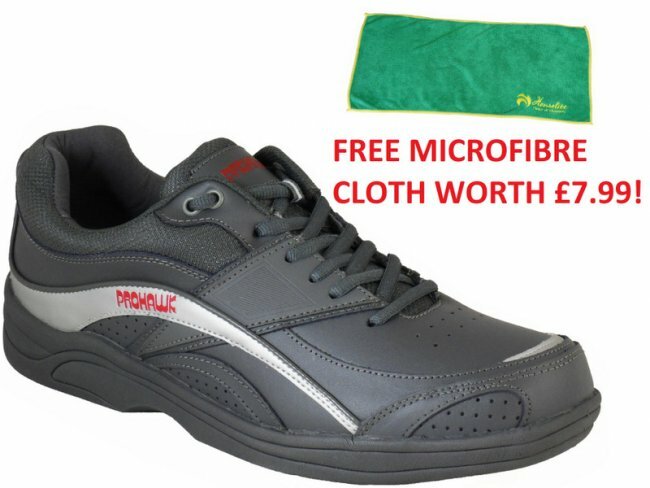 Prohawk PM52 - £62.99 with Free Delivery | Quality Leather and PU Uppers | Lightweight and Breathable - Perfect for Indoor and Outdoor Bowls!